This level is all about the little things that end up having a big impact on your stage work. Get ready to dig into the minutiae and to discover the next layer of your piece. Would you like to give stand-up comedy a try? This class culminates in a final performance after the last class. The Laugh Out Loud Academy is a home for improv artists to take their craft to the next level. Do your scenes/rehearsals/shows feel like more of the same? 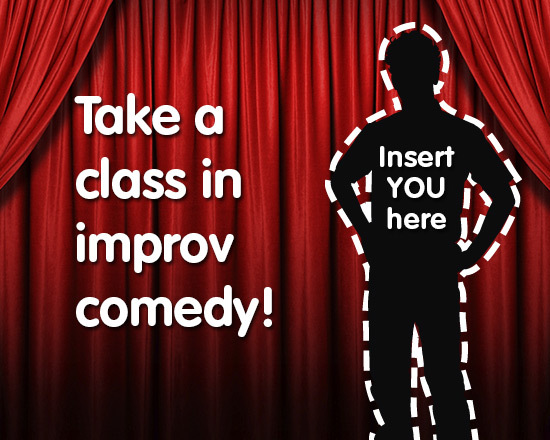 Do you want to take your hard-earned improv skills in a new direction? The Laugh Out Loud Academy will push you to take creative risks and explore your comedic voice. With courses in long form, video production, coaching, and more, you can hone your abilities and further your training. Most of our programs have a performance element because more stage time means one more step towards excellence in performance.